Owning a car in the modern era has a lot of advantages in the niche of comfort and easy travel. However, buying a car in still seen as a luxury and it has some down sides too. Maintaining the car at a regular basis is a must to save additional repairing or servicing cost. There are many ways through which you can take appropriate care of your car to save a pile of money by being aware and taking proper measure for your car. 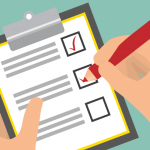 Giving it for regular small services and checking it on a weekly basis are some of the options. People nowadays are also considering buying the OBD2 Bluetooth Adapters or Scanners to check their cars with ease. Let us take a look at the OBD2 Bluetooth Scanners and how they function efficiently to be an important gadget for car maintenance. What are OBD2 Bluetooth Adapters? OBD2 Bluetooth or “Onboard Diagnostics” Bluetooth adapters are types of scanners that can efficiently diagnose vehicle problems. They were not preferred in the earlier days because of the less demand and high cost of the device. They were only used by the high tech car mechanics or service providers. But they are updated and are available in a low budget by which anybody can easily use the device to diagnose any type of car problems. They are attached below the dashboard and can be used with an interface to scan the problems associated with the car and also suggest a number of solutions on how the problems can be fixed. With each upgrade and latest inventions of the OBD2 Bluetooth Scanners, the device becomes more and more powerful to detect problems and fix them altogether. It is composed with in built software that can be accessed when the device is plugged in and it starts working automatically thereafter. 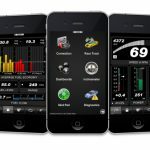 What are the Functions of the OBD2 Bluetooth Scanner? There are a number of functions of the OBD2 Bluetooth scanner which can be used to detect the following car problems and fix them accordingly. A built in accelerometer helps in measuring rough or smooth acceleration, rough braking or speeding at a fast pace. The Fuel level detects the capacity of the tank and the level of fuel to be filled in, indicating whenever the tank is nearly empty. The temperature inside the car including the air intake temperature, ambient air temperature, coolant temperature and other indication regarding temperature levels. A display to show all levels and indications and also to show the possible solutions to fix the problems. 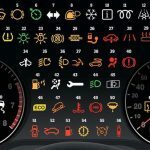 Various indications related to the engine such as engine load, engine timing, engine diagnostics and many more indications related to the engine. GPS Track Mapping lets you navigate roads and ways with an efficient and easy operating system and display. The speed of the vehicle at all points. Torque, throttle, horsepower, turbo boost, barometer. Many devices also display the travel distance depending on the upgrade and type of device along with the fuel level and the distance travelled. Crash alerts and other sound and audible alerts that reduce the risks of accidents, and in case of one, display emergency contacts and numbers to contact nearby hospitals and clinics. The above mentioned functions may vary depending on the type of device and the cost of device. Many of the other devices also display many other functions that might not be available in other devices. Other upgraded devices which are mentioned in the professional or high tech slots have other high end options and functions, including the above mentioned, that are required in important and noteworthy events such as dealerships or international car racing competitions. These OBD2 Bluetooth scanners are compatible with the smart phones or tablets to alert you even when you are not driving or are not in your car. Available on both iOS and Android devices, it works in various apps, which are free. Being very simple and straightforward, these apps are very easy to use and can be used efficiently even by a beginner. The procedure is really simple. You just have to download an app on your tablet or your smart phone and then plug in the auto scan tool with the OBD2 port. After that you need to turn on the car and wait for the scanner’s WIFI network to begin working. Your connection is established and your car and computer is ready to be scanned. Being really easily and consuming very less time, this method is very efficient to use and it displays up to the mark results. 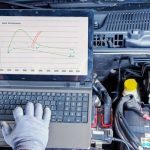 You can detect your car problems and even get simple notable information regarding the mileage, fuel, speed, acceleration, distance traveled and much more. How does the OBD2 Bluetooth scanner work? As mentioned earlier too, this device is simply easy to use, is affordable and saves a lot of time. Let us discuss of how the OBD2 Bluetooth scanners or adapter tools actually work. With inbuilt sensors present in your cars and also the OBD2 Bluetooth scanners, the car problems can be easily detected and can be read through the smart phones, tablets or any other compatible devices that are connected with the scanners. If your smart phone does not have the software that is required to function, the OBD2 Bluetooth scanner provides it with the same. The Bluetooth technology will allow the data to be transferred from the vehicle sensors to the device which is connected with it. The device reads the information and provides a list of additional solutions which can be performed to fix the notable problems. You should buy an OBD2 Bluetooth scanner which is compatible with Android or ioS devices depending on which of the two you own. Some OBD2 Bluetooth scanners display complicated and less analysis, focusing more on the standard and looks, while some of them provide full, valid and easy to read information that is helpful for the car owner.